I posted this over here but I think it is something that bears repeating. The British Broadcasting Company commissioned artist Jaume Plensa to design a sculpture that pays tribute to all those killed while reporting the news. 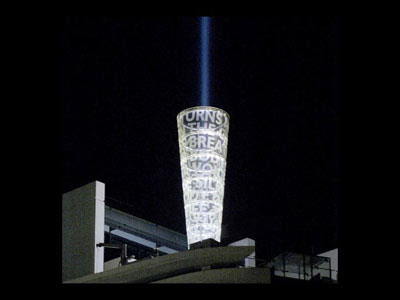 A beacon of light shines from it every night while the shape evokes an ear trumpet to hear the voices of people throughout the world. The glass sculpture is entitled Breathing, it is a fitting memorial and a thing of beauty.